This is a vocabulary assignment and main idea graphic organizer that goes with the Leveled Reader "Creepy Shipwreck Stories" for 5th grade. It comes with a key also. There is also a main idea handout that goes with the reader. It uses paragraphs from the reader. 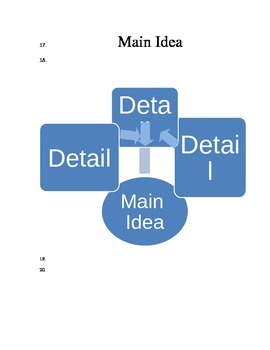 I use it for whole group practice of the main idea skill, but you can adapt it for your personal needs.